Supplement students' history studies with this handwriting practice worksheet. 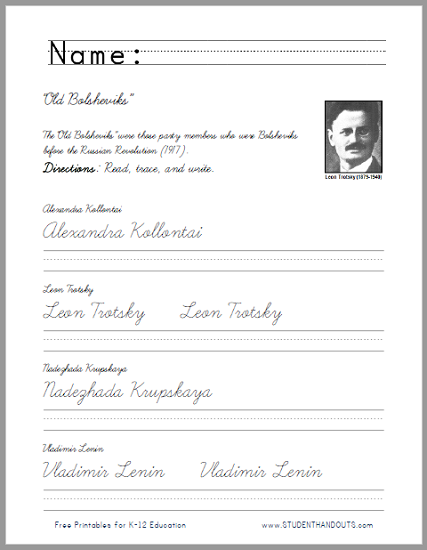 Kids are asked to read, trace, and write the names of four prominent Old Bolsheviks--Alexandra Kollontai, Leon Trotsky, Nadezhada Krupskaya, and Vladimir Lenin. For print manuscript, click here. For cursive script, click here. Feel free to check out more of our free printable handwriting practice worksheets.